Unilateral withdrawal or attempting to impose deal-breaking conditions in NAFTA negotiations will have a negative effect on the outcome of the 2018 presidential election in Mexico. President Pena of the PRI party is currently highly unpopular and although he is constitutionally prevented from running, the nominated candidate lacks charisma and carries the baggage accumulated by the current Administration. Candidate, Andres Manuel Lopez Obrador is rising in popularity. Clearly a populous socialist demagogue, Obrador ran unsuccessfully against previous Presidents Calderon and Pena claiming rigged elections and creating turmoil with each narrow loss. 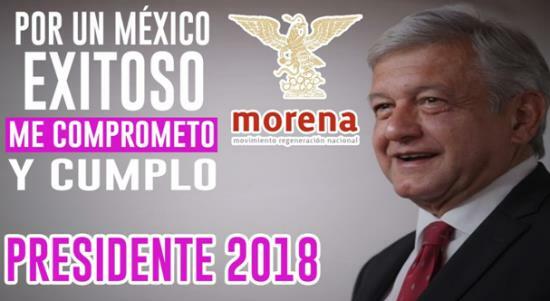 Obrador was once aligned with the PRI, the dominant political party in Mexico for decades. In 1989 he split to form the socialistic PRD party. According to Mary Anastase O’Grady in an opinion published in The Wall Street Journal on January 8th, it is clear that if elected, Obrador would introduce policies detrimental to the U.S. Abandoning NAFTA would create considerable economic hardship in Mexico benefitting Obrador. Trade negotiations have potential outcomes far beyond U.S. jobs, agricultural exports and intellectual property. An unfavorable outcome could result in a Venezuela on our doorstep.